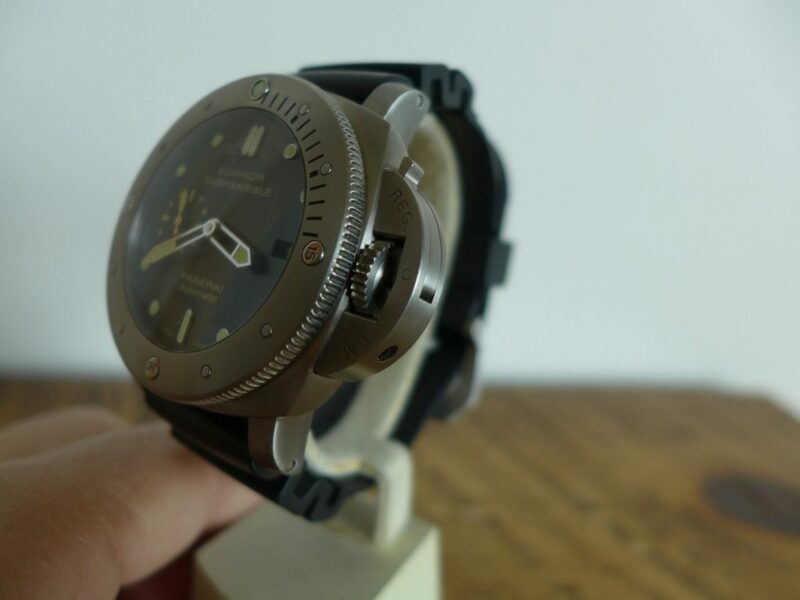 Hands on With Panerai 305 Submersible 1950 3 Day 47mm Automatic in titanium, this is a great watch always liked the 1950 case with see through caseback which houses the p.9000 movement. The p.9000 cal is used in plenty of modern Panerai’s great work horse movement a lot better than the old ETA movements they used. I used to have the 3 day smaller version in steel panerai-luminor-312, I wore that a for a good while really enjoyed that piece. 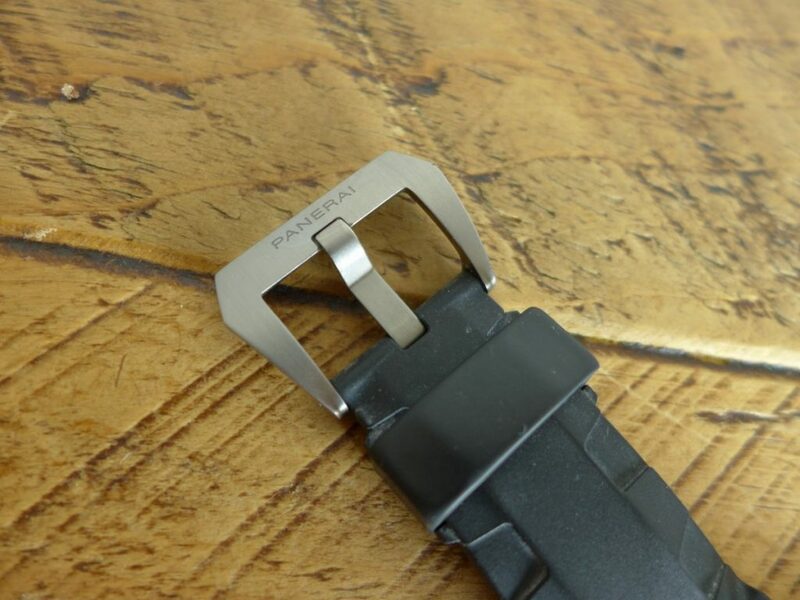 The 305 comes in titanium steel as the size would be a big heavy lump in steel, it is currently on a rubber strap but does have interchangeable leather strap. 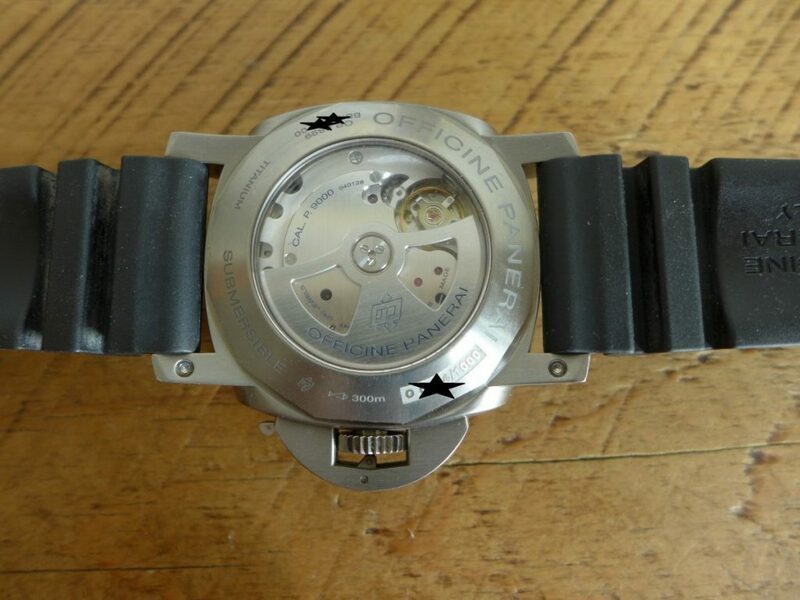 I think Panerai do have an extensive range or straps ans plenty of fantastic aftermarket straps. 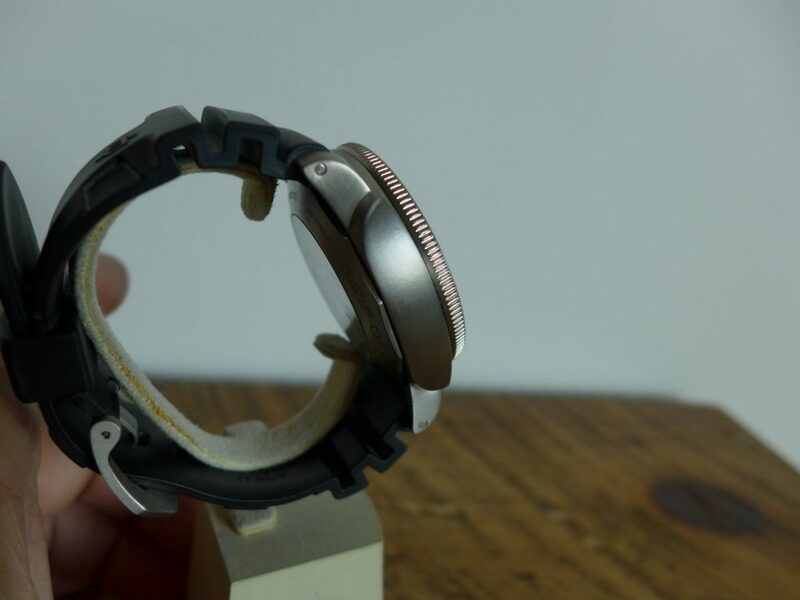 This is a larger at 47mm but does not feel so big on the wrist it wears really well on a 7.25 / 7.5 inch wrist which I feel is standard size wrist. 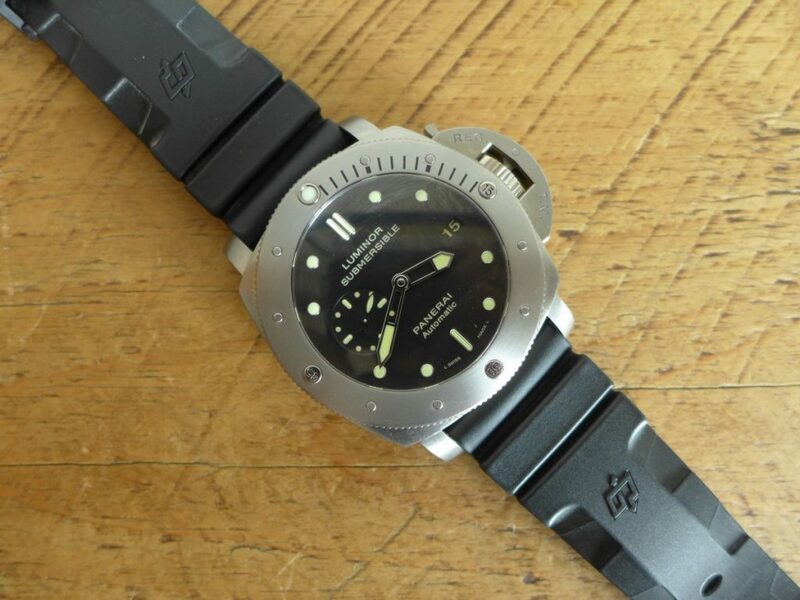 The Panerai is part of the submersible range it is water resistant to a decent depth. 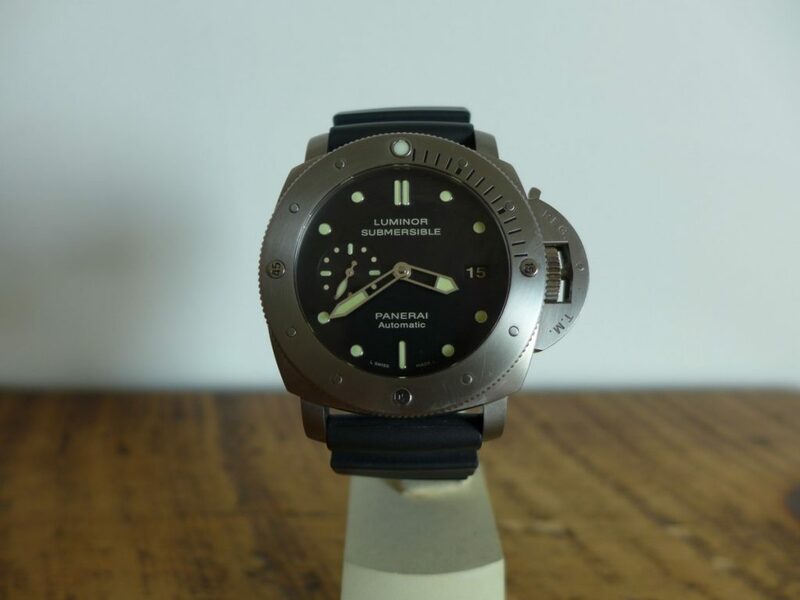 The Submersible range are a blend of the Panerai’s Radiomir and Marina range. 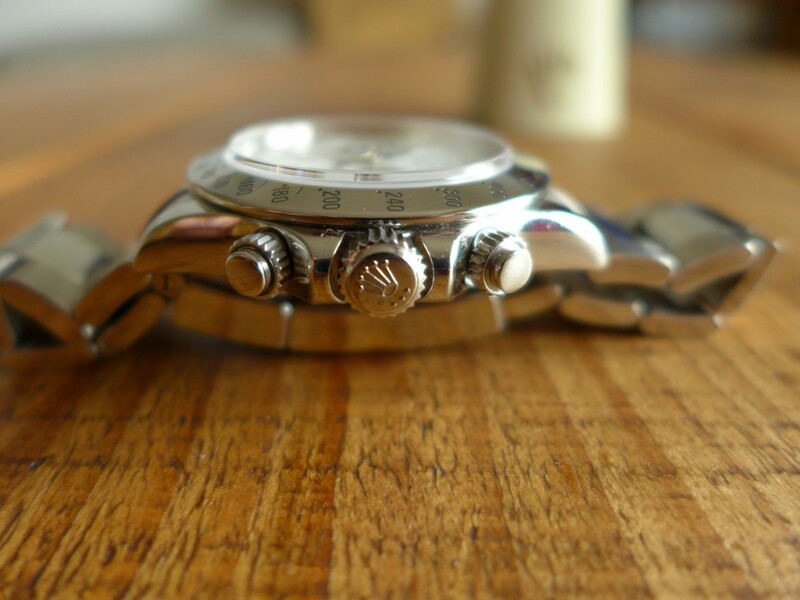 Overall a great looking and functional watch at second prices being obtainable.